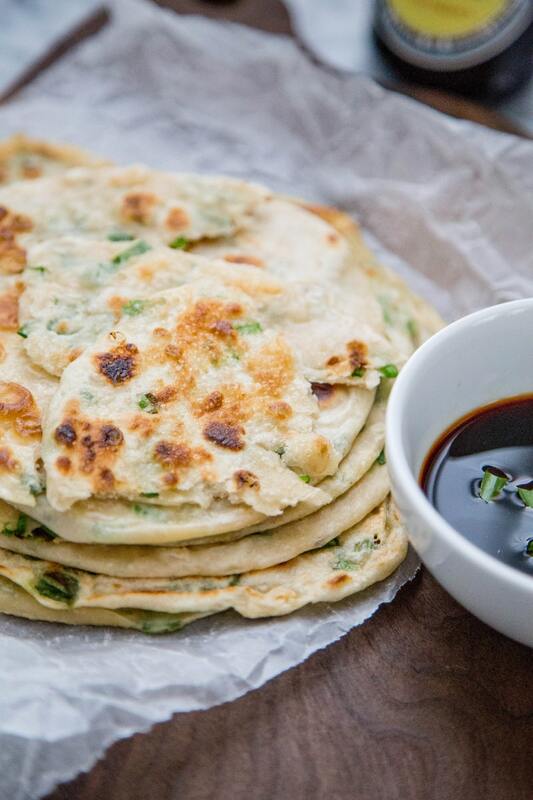 How to make Pacifica Cantonese Spring Onion Pancakes – Grandma Su’s way! Grandma Su made a very special dish when we were young. It was the type of dish that you frequently expected when just popping in to see her. We loved her very special style of cooking and in particular how she could enthral us all with her mastery of flavour skills. I know that’s where I got my culinary skills from … but you have to understand that without Grandma Su’s special recipes Pacifica Cantonese would not be recognised as the Number One Chinese restaurant in the Greater Manchester as voted many times by Trip Advisor reviewers. So by writing to you I thought its time that you had a secret weapon in your kitchen. A recipe that will literally knock the socks off your complacent couch potatoes! These shortcut Chinese spring onion pancakes taste similar to the restaurant version, but without a skilled Dim Sum chef perfecting them into those beautiful little crowns. Unlike our version, there is no kneading, rolling and dough making. The batter comes together in about 5 minutes. Chinese spring onion pancakes (葱油饼, pronounced cōngyóubǐng) is a favourite of mine. Layers of dough intermixed with chopped spring onions and pan-fried until crisp. It’s actually more like a flatbread rather than a pancake. It’s not too hard to make. 1. Add flour, salt and water to a medium mixing bowl. Whisk until smooth. Stir in spring onions. 2. Add 1 tbsp of oil and spread across an 8-inch frying pan and bring to medium high heat on stove. I tried both with a nonstick frying pan and a cast iron one. The non-stick is easier for cooking and requires less oil, but doesn’t develop as nice of a golden crust as the cast iron one.